Water Damage how it happens and what can be done about it. Following ways. An act of god flood, sump pump failure, busted water tank, any water lines, water backup be it sanitary or storm sewers, roof leaks and drain tile. Ellis is IICRC Institute of Cleaning and Restoration Certified to perform water restoration for the entire above water intrusion scenario. Ellis has the latest equipment and experience to locate and determine how and here the water damage occurred. We will get you dried out quickly. Finally since Ellis is trained in all fields Carpet, Duct, Mold and water mitigation your problem can be solved with one company. P.S. Something you need to know. 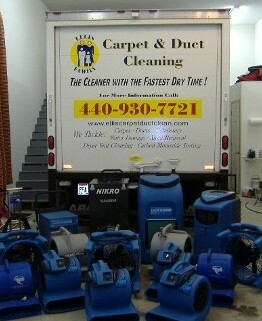 If you have a water damage problem you have the right to pick the company who will be providing this service.